This book examines trends in ageing societies and urban development before assessing the impact of ageing populations on urban areas and strategies for policy and governance. It includes nine case studies covering Toyama, Japan; Yokohama, Japan; Lisbon, Portugal; Calgary, Canada; Cologne, Germany; Brno, Czech Republic; Manchester, United Kingdom; Philadelphia, United States and Helsinki, Finland. Cities in advanced economies are growing older more quickly than rural areas. In OECD cities, 14% of people were over 65 in 2011 up from 12% in 2001. The trend will put pressure on cities to rethink some infrastructure and plan for an ageing labour force, change revenues, rising demand for social housing and higher spending on health and social care. 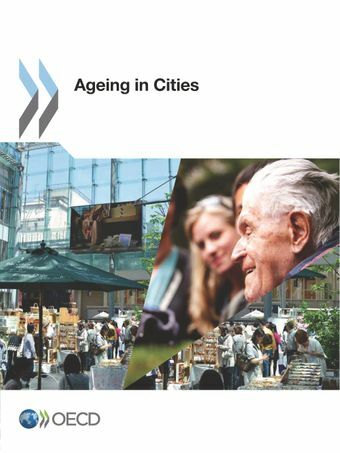 Ageing in Cities shows the number of over-65s in urban areas in OECD countries rose by 23.8% over 2001-11 versus 18.2% in non-urban areas, with city suburbs greying faster than city centres. The growth in the older population in a decade contrasts with a total population increase in cities of just 8.8%. The effects of an ageing population are similar in urban and rural areas, but cities, with their dense infrastructure will face particular challenges in adjusting. This report notes that tax income represents 37% of sub-national government revenue in OECD countries. Also, a quarter of elderly people do not own the houses they live in and in the USA 29% live alone.